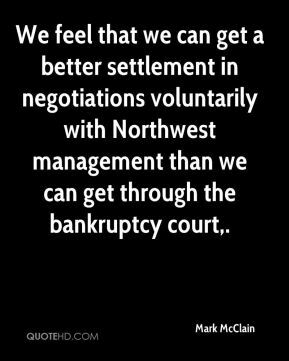 We feel that we can get a better settlement in negotiations voluntarily with Northwest management than we can get through the bankruptcy court. 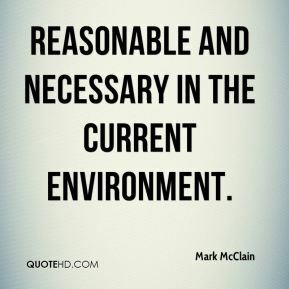 reasonable and necessary in the current environment. 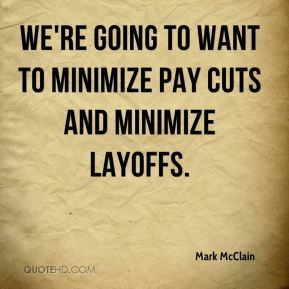 We're going to want to minimize pay cuts and minimize layoffs. 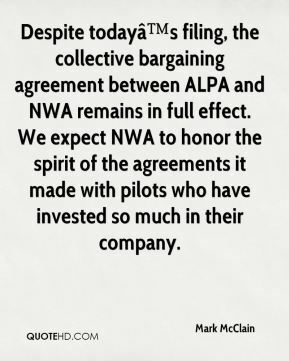 Despite todayâs filing, the collective bargaining agreement between ALPA and NWA remains in full effect. We expect NWA to honor the spirit of the agreements it made with pilots who have invested so much in their company. 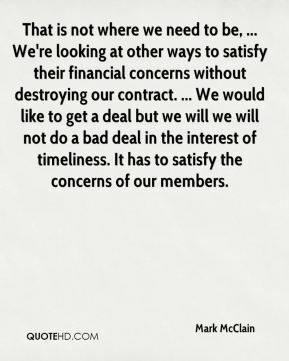 That is not where we need to be, ... We're looking at other ways to satisfy their financial concerns without destroying our contract. ... We would like to get a deal but we will we will not do a bad deal in the interest of timeliness. It has to satisfy the concerns of our members. 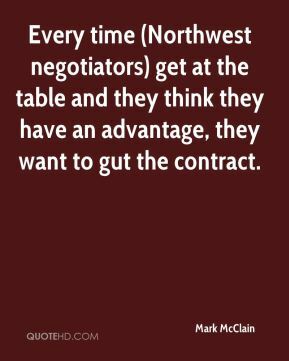 Every time (Northwest negotiators) get at the table and they think they have an advantage, they want to gut the contract. 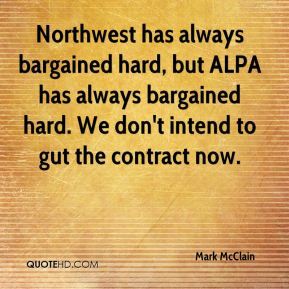 Northwest has always bargained hard, but ALPA has always bargained hard. We don't intend to gut the contract now. It's a sad day for Northwest. A lot of us have given decades of our lives to this airline. This is not where you want to see it end up. Now, here we are. It's a tragedy. 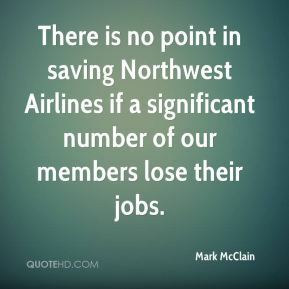 There is no point in saving Northwest Airlines if a significant number of our members lose their jobs. 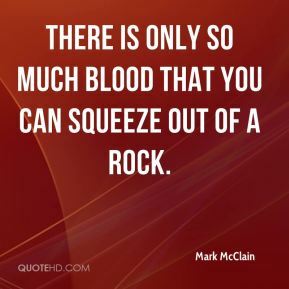 There is only so much blood that you can squeeze out of a rock. He was a hardworking man. He volunteered. 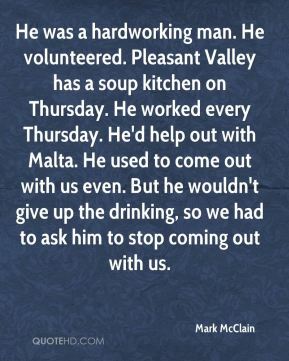 Pleasant Valley has a soup kitchen on Thursday. He worked every Thursday. He'd help out with Malta. He used to come out with us even. But he wouldn't give up the drinking, so we had to ask him to stop coming out with us. 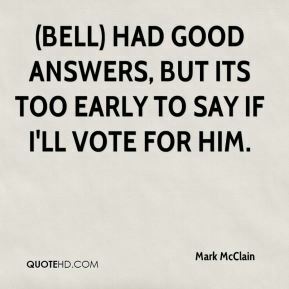 (Bell) had good answers, but its too early to say if I'll vote for him. 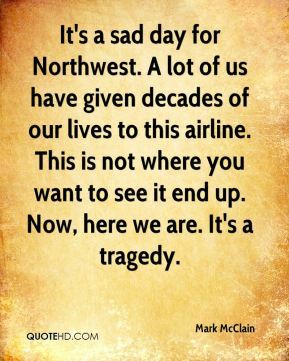 Northwest pilots understand the serious nature of a strike, but we will defend ourselves with all available 'self-help' options up to and including the complete withdrawal of pilot services from Northwest Airlines. 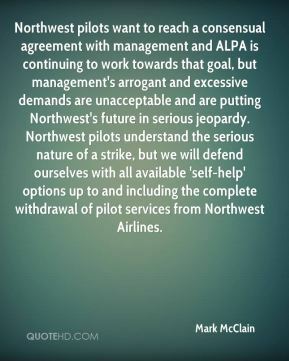 Northwest pilots want to reach a consensual agreement with management and ALPA is continuing to work towards that goal, but management's arrogant and excessive demands are unacceptable and are putting Northwest's future in serious jeopardy. 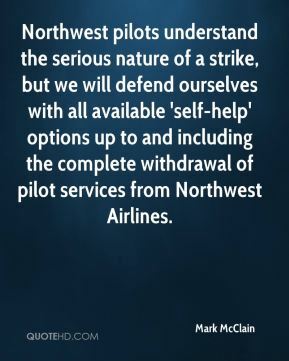 Northwest pilots understand the serious nature of a strike, but we will defend ourselves with all available 'self-help' options up to and including the complete withdrawal of pilot services from Northwest Airlines. 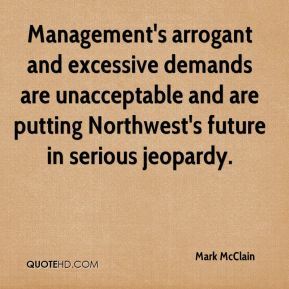 Management's arrogant and excessive demands are unacceptable and are putting Northwest's future in serious jeopardy. 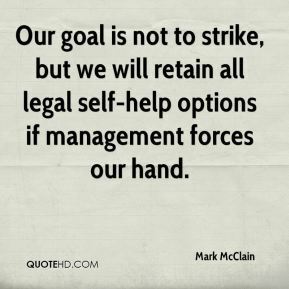 Our goal is not to strike, but we will retain all legal self-help options if management forces our hand. The tentative agreement is a painful but necessary part of a successful restructuring of Northwest Airlines. 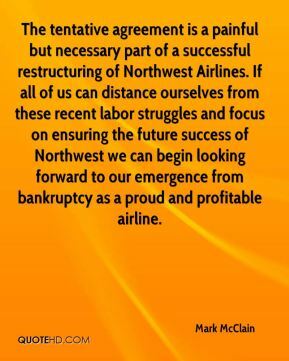 If all of us can distance ourselves from these recent labor struggles and focus on ensuring the future success of Northwest we can begin looking forward to our emergence from bankruptcy as a proud and profitable airline.